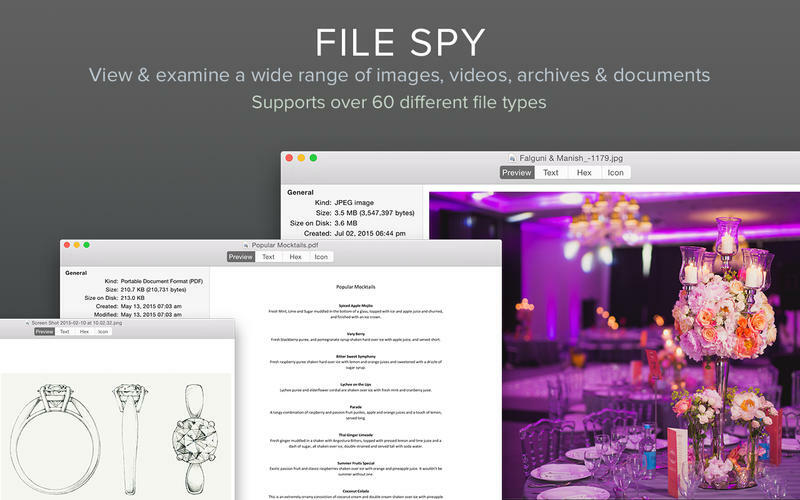 File Spy lets you view, in detail, almost any file on your Mac. All you have to do is drag and drop any file/folder into the app window and all the available information is presented to you coherently. File Spy provides text, hexadecimal and icon views to help you inspect the contents of each file. The app supports playback of common audio and video formats, along with the ability to display many image, web and document file types. – Supports for over 60 file types, including most audio, video, image, web and document file types. 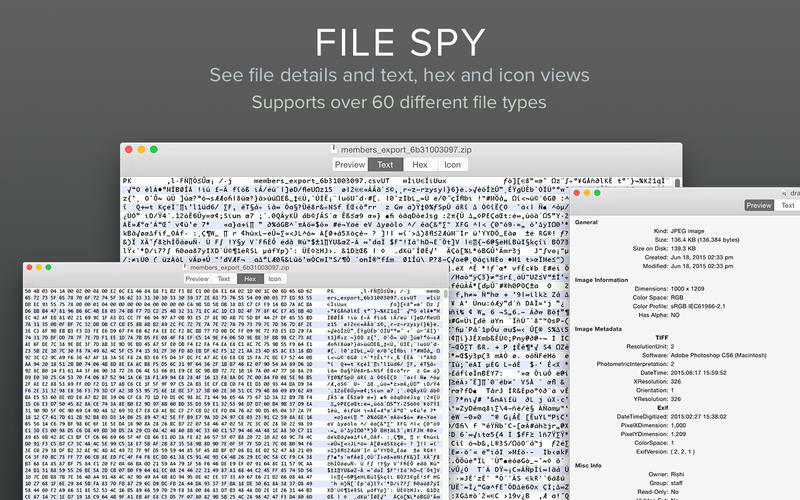 We’ve worked hard to make File Spy as simple and efficient as possible for you to use. We would love to hear your thoughts via email and make any improvements to future versions of this app. We intend to have an active development cycle powered by your feedback, love and support!